Frequently one will hear the statement, "What you believe is very similar to what we believe except we don't believe Jesus was the Son of God." Although Muslims and true Christians both believe in Jesus as a Prophet, yet the difference in the understanding of this word, son, causes them to believe different things about this great Prophet. Why is this? What does the word really mean? Why is there such great misunderstanding? What they attribute to Him! When He hath no consort? It states that those who have no knowledge say that God has offspring, ﺑﻧﻴﻦ and ﺑﻨﺖ , male and female, coming from the Arabic word, ibn ﺍﺑﻦ , having a spiritual or physical meaning. (2) since he has no wife (sahiba). So we see from the context that the term, ibn ﺍﺑﻦ , which can have a physical or spiritual meaning, was understood to have a physical meaning. It was this physical meaning that was negated. 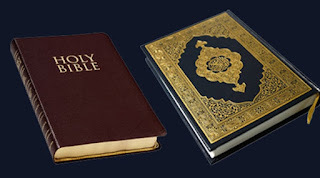 Since the Bible never refers to Jesus as the physical son of God, it is clear that the Qur'an is not addressing what the Scriptures (the Holy Bible) of true Christians say. Instead the Qur’an is most likely addressing pagan beliefs or perhaps the beliefs of those who claimed to be Christians but who had erroneous beliefs that were not taken from the Bible. If it was intended to refute what the Christian scriptures state, then it is clear that there was a misunderstanding of what the Christians scriptures actually said about the Prophet Jesus. How do we know there was a misunderstanding? All but one reference in the Qur'an that negate the Sonship of Jesus Christ, 'Isa al-Masih, ibn Miriam, in the negation use the Arabic word, walad ﻮﻟﺪ , generally meaning a physical son in the nominative but also able to have a spiritual/metaphorical meaning. (3) Sura9:30, “The Jews call 'Uzair a son of Allah, and the Christians call Christ the son of Allah. That is a saying from their mouth; (in this) they but imitate what the unbelievers of old used to say. Allah's curse be on them: how they are deluded away from the Truth!”, is the only place in the Qur'an where Jesus Christ is referred to as the Son of God using the word, ibn ﺍﺑﻦ . However, the second part of the verse containing the actual statement denouncing the confession of Christians that “the Messiah is the Son of God”, uses neither the word ibn ﺍﺑﻦ nor the word walad ﻮﻟﺪ in its denunciation. Since ibn ﺍﺑﻦ can have either a physical or spiritual meaning, without a specific word used in the negation it is unclear whether the physical or spiritual meaning, is denounced. There are three possibilities in it's interpretation. Either only the physical meaning is denounced, only the spiritual meaning is denounced or both are denounced. When one applies the context in Sura 6:100-101 and Sahih Muslim Vol. 1, chapter 81, number 0352 (see footnote 13) to determine the correct interpretation of Sura 9:30, then only physical sonship was understood from the word ibn ﺍﺑﻦ in this situation and only physical sonship was denounced because both passages state and then negate the presence of a wife in the process. The Prophet David was anointed to be King of the bani-Israel. In Psalm 2:7 of the Zabur زبور , the Prophet David is referred to as “son”, an anointed King, who would rule with God’s authority, “I will proclaim the decree of the LORD: He said to me, ‘You are my Son [ben]; today I have become your Father [yawlad].’ ” Psalm 2:12 says, “Kiss the Son [ben], lest he be angry and you be destroyed in your way.” From the context it is very clear that no physical sonship is implied. In referring to the Prophet David, this verse also refers to the descendant of the Prophet David who was prophesied to be the Messiah, al-Masih المسيح , the King who would have an everlasting kingdom. (1 Chron. 17:11-14) The Injil clearly proves that Jesus is the Messiah that would come. This reference from the Psalms, Zabur زبور , is cited 3 times in the Injil as the proof of Jesus’ nature and authority as the promised Messiah, المسيح . (4) The Hebrew word “ben” in Psalm 2:7, 12 corresponds to the Arabic word ibn ﺍﺑﻦ . To show the source of the anointing, the word, “yawlad” is used. This is the verbal form of the Hebrew word “walad” which corresponds with the Arabic word walad ﻮﻟﺪ . Therefore to refuse to use the verbal form of the word walad ﻮﻟﺪ in the proper spiritual sense when referring to the source of the divine nature of Jesus Christ is to contradict the Holy Bible--Taurat, Zabur, Anbia (Writings of Jewish Prophets) and Injil. In both the Hebrew and the Arabic, the verbal form of “walad” is used to refer to physical birth or a spiritual anointing. (5) Although the noun form “walad” is not used in the Hebrew Scriptures when referring to the source of Jesus’ divine nature, the verbal form “yawlad” is used in this meaning. As already cited, “ben” is regularly used to refer to the “son-messiah” المسيح. This is the precedent that God has set in his word. The context in Psalm 2 is the key to understanding the message. It is absolutely clear that this was no physical birth. This psalm speaks of a grown person who is inaugurated as the king of God’s people, and the term “yawlad” denotes the giving of the authority and power of God’s Spirit. (6) Again the context is very clear. A spiritual anointing is proclaimed. The source of Jesus Christ’s immaterial nature is proclaimed as being not only from God but actually God in him. No one, Muslim or Christian, would deny that Jesus Christ is the Messiah, المسيح in Arabic. This Messiah, المسيح , is clearly referred to as “the Son of God” in both the Jewish and Christian Scriptures. It is these scriptures that the Qur’an affirms throughout as true revelation from God. The Bible also teaches that prophets are honoured servants. That is a significant part of the meaning behind the term, “son of God”. The issue is this, how and why are they honoured? From its first mention, "son of God" is a term of honour in the Holy Bible. King David, Hazrat Daoud, and King Soloman, HazratSuliman, are each specifically referred to as a "son" of God in the Holy Bible. (8) In each of these references it is clear to see that "son" meant one who was loved, chosen and given authority and power through the Spirit of God. "Spirit" here does not refer to an angel or even the breath of God, but the very being, nature and essence of God. However, the Qur'an never addresses their sonship specifically. Their sonship was different than that of Jesus Christ. They were called sons of God because the Spirit of God came upon them to give them power, wisdom and authority to reign as kings over the bani Israel. 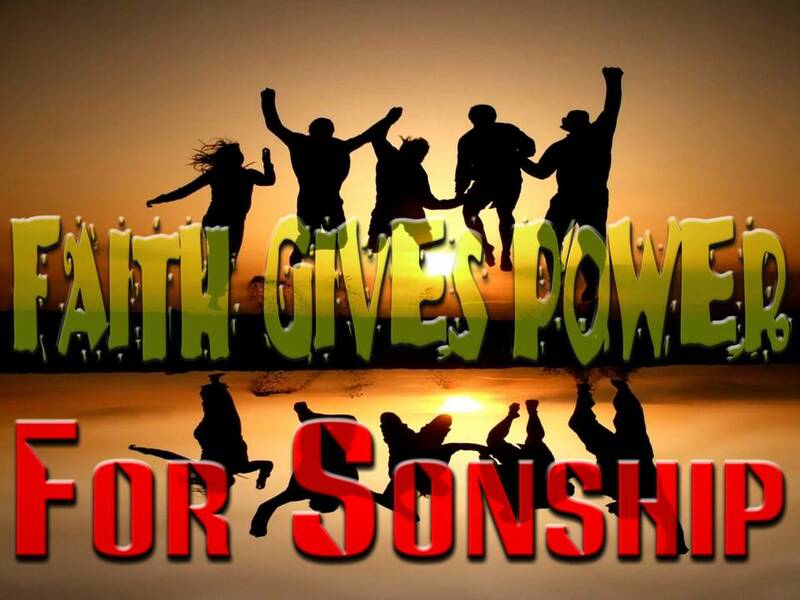 This type of sonship is one particular type of spiritual sonship. It is that of any human being upon whom God's Spirit came. However, the sonship of Jesus Christ is different. It also is spiritual but in a significantly different way. Jesus was not just a grown human being upon whom the Spirit of God came. He was the very nature and essence of God who came in human flesh. (9) Since God is spirit, as stated in John 4:24, this nature and essence of God is spiritual. This idea of God in flesh is, also, often expressed in the Injil by the use of the term “Son” on its own, or the term “Son of Man.” This term “Son of Man” is derived from the revelation of “one like a son of man", revealed to the prophet Daniel over 500 years before Jesus lived. (10) It is obvious that this “Son of Man” is no ordinary man. He was one who received worship and honour due only to God, though he has the form and appearance of a man. In fact Jesus used this term to describe himself more often than "Son of God" since "Son of Man" did not carry the connotation of an earthly political and military kingship that some people understood the term “Son of God” to mean. (11) Instead, it expressed a real but spiritual authority and pointed back to the prophecy of the prophet Daniel. The Son of Man in Daniel's prophecy was one who had the form of man but who had the authority and character of God and who rightfully received worship due only to God. It was because Jesus used this term, "Son of Man", that the Jews accused him of blasphemy. Yet using this term, he continued to do miracles, rise from the dead and ascend into heaven, which allowed the people only two choices. Either they must believe he was God in the flesh or they must believe he was from the devil. Since there is no doubt that he claimed to be God, to simply believe he was only a prophet or a good man would be claiming that God allowed this power to be used by one who was rivaling God. This would be impossible for God to do. In his biography of Muhammad, Sirat Rasul Allah, Ibn Hisham quotes the Qur'an as stating that the Christians used the term ibnallah, ﷲ ﺍﺑﻦ in reference to Jesus. (12)This is strongly denounced right along with the Jew, 'Uzayr, being denounced as the ibn allahﷲ ﺍﺑﻦ with no distinction between the two. Yet there is a large difference between the two. 'Uzayr (Ezra) even as a true prophet of God, would have been no more than a human being on whom God's authority, power, or Holy Spirit (not Jibra’il) came. However the Holy Bible teaches that Jesus existed from eternity as a divine spiritual being, the Word, who was God (John 1:1), and at a point in time he took on flesh (John 1:14). Yet, the Qur’an never states in Sura 9:30 nor in its immediate context why the sonship of 'Uzayr or Jesus is denounced nor which meaning, the physical or the spiritual, is being denounced. One must go to Sahih Muslimto find the reason that calling Jesus Christ ibn allah ﷲ ﺍﺑﻦ is denounced--because he is not the walad ﻮﻟﺪ , physical son, of God. (13) In fact every time that the sonship of Jesus Christ is denounced in the Qur’an and the reason why the denunciation is given, an inaccurate view of the Bible is evident. Ibn Hisham brings further light to this by pointing out that Muhammad thought that the statements of the Christians from Najran about Jesus, diminished God's power and authority, denied the Oneness of God and made Jesus a rival to God. (14) Yusuf Ali, too, shows this same understanding of the phrase "son of God" by his comment on Sura 9:30, equating Christians with blasphemers by accusing them of, "Taking men for gods or sons of God." (15) However, Jesus' Sonship in the Bible which is always spiritual in nature is never presented as diminishing God's power or authority, denying the Oneness of God nor making himself a rival to God. The will, authority and power of Jesus' divine spirit is never in conflict with the will, authority and power of God, because Jesus was the Word. This eternal Word of God became flesh without ceasing to be God or beginning to compete with God. A few observations are necessary here. First, Ibn Hisham states that the Christians from Najran believed that Jesus was the walad of God ﷲ ﻮﻟﺪ . (16) Second, there is no evidence in Ibn Hisham’s Sirat Rasul Allah that they claimed to believe this in the physical sense. Ibn Hisham states here also that, starting at the beginning of Sura 3, more than 80 verses were revealed as a result of the visit of the Christians from Najran. The fact that there is no specific refutation to their claim using the word walad ﻮﻟﺪ in the Qur’an in the whole of Sura 3 makes it difficult to ascertain what they said or meant. We only know that it would be against their scriptures to use walad ﻮﻟﺪ in the physical sense. This is plain when we examine the Scriptures in their original languages as well as the commentaries written by early Jewish and Christian scholars. (17) No honest scholar ever understood the Biblical passages speaking of “the Son of God” in a physical way. Third, it is clear that the Qur'an and the Bible do not agree regarding Jesus' nature. The Bible presents him not only as a prophet, but actually more than a prophet--his spiritual nature being the very nature of God. When we look at Sura 5:18, we see that when men claimed to be "ibn allah" ﷲ ﺍﺑﻦ the Qur'an presents its understanding of the phrase "ibn allah" ﷲ ﺍﺑﻦ as those who were more than men and who were without sin or at least not subject to punishment for sin. IbnHisham confirms this understanding. We see this because it is stated that they were "but mortals, of those men He [Allah] has created" and were subject to punishment for sin. (18) Yet the Qur'an, the Muslim traditions and the Bible all agree that Jesus, unlike any other prophet, had no sin or even a fault or mistake ever in his life. They argue that he is the son of God in that they say he had no known father; and he spoke in the cradle and this is something that no child of Adam has ever done. (19) As a result of what these Christians said, Ibn Hisham records that the revelation concerning Jesus speaking in childhood in Sura 3:45-49 and Sura 19:27-35 came along with other verses about Jesus' life. However, as already mentioned when we look at what the Christians are reported to have said, we see that the reason the Christians from Najran gave, is not the reason the Bible gives why God called Jesus his Son. Christians, moreover, do not claim that Jesus was the Son of God because he was born of a virgin. On the contrary, it was because he was Son of God, when that term is properly understood, that he was born in that miraculous way. (20) (Bold emphasis, mine.) Professor Anderson's statement is in absolute agreement with the Bible. In his article, “Jesus the Son of God: A Study of the Terms Ibn and Walad in the Qur’an and the Tafsīr Tradition”, Mahmud Mustafa Ayoub cites the writings of a number of Muslim scholars from different eras and persuasions of Islam. The following is a table based on the specific statements he highlights showing their understanding of “divine sonship” and therefore why they objected to it. (21) As we look at the reasons for which these Muslims scholars reject their understanding of the “sonship” of Jesus Christ, we see that none of these are even in the slightest way implied in the Holy Bible. God’s taking on flesh was not out of his need but ours! (22) This is important for two reasons. First, it does acknowledge the fact that even though, primarily, the Arabic word walad ﻮﻟﺪ is used for a physical sonship, like the Hebrew word walad this is not the only meaning for which it must be used. Second, from this we can begin to see that the meaning that God clearly ordained for the word walad in Psalm 2, referring to a real but spiritual sonship, has usually been taken by Muslims in a physical sense and therefore clearly misunderstood.
. . . would leave no doubt in the mind of a Muslim reader that Jesus is the son of God, engendered by Him from eternity. For, while Abū Qurra uses ibn for son, he always uses the verb walada, to engender, or give birth to, when speaking of God the father and Jesus His son. (24) He further cities Muhammad Mahmud Hijāzī, Muhammad Rashīd Ridā, Fakhr al-Dīn al-Rāzī and al-Alūsī as making specific statements to this affect using words such as love, high honour, and favour. Again, two things are important in this statement. First, it acknowledges that the word ibn, ﺍﺑﻦ was legitimately in the Christian scriptures and was rightfully used by them. Second, it acknowledges one important aspect in the meaning of Jesus’ sonship. Unfortunately, as we have already seen and as we will further see, the significance and the reason behind that supreme relationship of love, favour, high honour and intimacy as clearly stated in the Holy Bible has been misunderstood by Muslims. When a human father has a physical son, that son reflects the humanness of his father but he has a separate spirit, will and mind. Therefore he would have a separate accountability before God. Because he has a separate spirit, will and mind, he could at some time or another contend, rival and seek to oppose his father. If the "sonship" of Jesus Christ were seen in the same way, he also could eventually oppose and rival God. However, that is definitely not the view of "sonship" that the Bible teaches. The Bible never teaches that the "sonship" of Jesus Christ was the result of any physical union of two partners. Nor does it imply that God is a created being. The Bible clearly teaches that God is eternal. (25) The "sonship" of Jesus Christ was purely spiritual in nature. The immaterial nature of Jesus Christ was made of the same substance as God--his will, purpose and mind being the same as that of God with no conflict, but perfect harmony. His flesh was flesh and was not God--it was only where the essence of God dwelt to reveal himself to the world without the essence itself being physically seen. The Bible also clearly teaches that God is spirit. (26) Jesus himself said that flesh comes from flesh but spirit comes from spirit. (27) The immaterial essence of God that dwelt in him according to the will of God, was God’s immaterial essence--not separated from God nor in conflict with God. The flesh of Jesus Christ responded perfectly to God in every situation of life because that God’s immaterial essence in him kept his flesh pure. This is why it is important to realise that Jesus Christ was fully God and fully man--human emotions being expressed without human sin. His flesh was not God even though the nature or essence, which indwelt that flesh was the very essence of God to whom he would return shortly. Perhaps it was for this reason that Jesus rarely asked people to worship him though he never refused their true worship. He asked people to worship God, yet claiming to be equal with God and deserving the honour that is due only to God. (28) He wanted people to understand the true character of God before they worshiped God. He wanted people to realise that the essence of God was in him. This is why it is important to first understand what the Holy Bible--Taurat, Zabur, Anbia (Writings of the Jewish Prophets) and Injil teach about the nature of God, so we can understand the true spiritual nature of Jesus Christ in the Injil. Those who have a difficult time understanding these things, should remember the fact that God is light. (29) Since God uses the illustration of light to describe himself, we must think about this. What kind of light is meant? Is it like the light in the sun or light bulb that people squint to look at or like the light that falls on a page and enters the eye, illuminating the words? Is it like the light that we back away from or like the light that comes to help us? In reality we know that they are one and the same light. One is simply concentrated in one spot--the source--which needs to be bright so that the light that falls on the page is the right intensity to meet our needs and relate to us as men. Yet, when we turn the light switch off, we realise they are one and the same light. Since they are one intrinsically, they are intrinsically inseparable but they are also practically inseparable in completing the work they do. In the same way when some people saw Jesus, they didn't realise he was God because he didn't have the appearance of God--the God that appeared to the Prophet Moses ﻤﻮﺳﻰ ﺤﺿﺮﺖ was too bright to look at. Only after Jesus Christ had ascended up into heaven did many people realise fully who he was. THE QUR'AN'S PRESENTATION OF THE "CHRISTIAN TRINITY"
"O Jesus the son of Mary! For two gods beside Allah'?" In light of the context of the verses that follow this verse, we see that this is the Qur'an's presentation of the “Christian trinity”. IbnHisham states that this presentation of the "trinity" was being promoted by the Christians from Najran. (30) Yet, the Qur'an'spresentation of the "trinity" is definitely not what God has revealed about himself, Jesus Christ, or Mary (Miriam), the mother of Jesus, in the Bible. From the Bible we know that God has no other equal, Mary is not God's wife nor was she divine and Jesus Christ was not God's physical Son. In Allah and His Messengers. This portion is addressed to the People of the Book, which could include Jews and Christians. Since the Jews did not refer to Jesus as the Son of God, this has to be in response to Christians. Here, again, in the last line in the negation of God having a son, the Arabic word, walad ﻮﻟﺪ , is used. As we have seen, the scriptures of the Christians teach that there is One God and never refers to Jesus as the physical son, walad, ﻮﻟﺪ of God. The phrases "Son of God" or "son of God" in the Christian scriptures is only used in a spiritual, metaphorical sense. The term "Son of God" is used so often by those who follow Jesus and believe on him that some people may think that the phrase "Son of God" is part of a creed that must be recited by anyone who wants to be a Christian, in a similar way that Muslims must recite a creed to become a Muslim and to declare their continued allegiance to their faith. Because many Muslims have been taught that Christians believe that Jesus was the physical son of God, they naturally find this very repulsive. Though some might long to believe in Jesus they would never seriously think to do so for the reason that they may be expected to use this term. This term would be misunderstood and very repulsive to their family and friends. The fact is, no one is required to refer to Jesus using the term, the Son of God, to be a true Christian. Of course, one would need to understand the true meaning behind the term and definitely believe the true meaning behind the term. But there are other words to describe the same concept, such as a proper understanding of the prophet Daniel's "Son of Man" prophecy or the expression, "the most beloved vice-regent of God who was the very nature and essence of God, making him God Himself in human flesh." Some people ask, “Was Jesus Christ God or the son of God?” As we have seen, referring to someone using the term "son of God" does not mean that person is God. But the term "the Son of God" points to the fact that, spiritually, Jesus Christ was God. As we have already seen, this term refers to his eternal nature and essence. It also many times refers to him being an anointed vice-regent of God, endued with the power, blessing and authority of God because of this eternal nature and essence. "Son" is also used to express the fact that he was not just a servant. Even though he submitted as a servant, he was considered a son, who had inheritance, privilege, honour and special love. He was not just in the house, but of the house. As we have already seen, "son" can be used in different ways. Egyptians are called "sons of the Nile." The Qur'an refers to a traveler as a "son of the road" (ibn al-sabeel, ﺍﻟﺴﺑﻴﻝ ﺍﺑﻦ). (32) Daughters are called "sons" in many cultures by fathers who love them very much. In Pakistan and Iran devout followers of God are called farzandan-i-tawheed, ﺗﻮﺣﻴﺪ ﻔﺮﺯﻨﺪﺎﻦِ , meaning "sons of unity." (33) Any English dictionary shows that "son" is used in a figurative or metaphorical sense as the "inheritor of a quality." (34) So it is clear that there is no problem in using the term "son of God" in referring to Jesus Christ. The Bible even refers to Jesus Christ as the Son of God, which not only suggests a special relationship with God but it also means that he is the Son above all sons--the one whose relationship with God is superior to anyone's relationship with God. This kind of claim definitely needs the evidence to back it up. To understand what kind of relationship Jesus had with God we need to look at what the Holy Bible says about him. As we have seen, the Bible presents Jesus as the beloved Son of God and the Son of Man. This Son was prophesied by the prophets; he had a human nature but was called “the Son of God" because of his indestructible, spiritual nature, which was proved by his resurrection from the dead. (35) His message was for all people for all times.
. . . in these last days [God] has spoken to us by his Son, whom he appointed heir of all things, and through whom he made the universe. The Son is the radiance of God's glory and the exact representation of his being, sustaining all things by his powerful word. After he had provided purification for sins, he sat down at the right hand of the Majesty in heaven. So he became as much superior to the angels as the name he has inherited is superior to theirs. For to which of the angels did God ever say, "You are my Son; today I have become your Father"? Or again, "I will be his Father and he will be my Son"? And again, when God brings his firstborn into the world, he says, "Let all God's angels worship him." In speaking of the angels he says, "He makes his angels winds, his servants flames of fire." But about the Son he says, "Your throne, O God, will last for ever and ever, and righteousness will be the scepter of your kingdom. You have loved righteousness and hated wickedness; therefore God, your God, has set you above your companions by anointing you with the oil of joy." He also says, "In the beginning, O Lord you laid the foundations of the earth, and the heavens are the work of your hands. They will perish, but you remain; they will all wear out like a garment. You will roll them up like a robe; like a garment they will be changed. But you remain the same, and your years will never end. To which of the angels did God every, "Sit at my right hand until I made your enemies a footstool for your feet"? (38) and because of his unique origin and power which caused him to rise victoriously back to life from the dead, he has been appointed to be the judge of all mankind. (39) These and many more things about him are recorded in the Injil. This message is a message of hope because as human beings we deserve the wrath of God. God says that everyone deserves his wrath and even if we kept the whole law and yet failed in only one point, we would be guilty of breaking the whole law. (41) Because Jesus Christ has been appointed to be the final judge, we know that we will not escape God's judgment. Therefore, we must recognize the seriousness of just one sin and it's full penalty--eternal separation from God--and humbly receive in thanks the gift of Jesus' right standing with God that Jesus Christ is willing to share with us. Because of this Son, Jesus Christ, we have the possibility of spending eternity in the presence of God. May God bless you with his peace!